Your air conditioning unit brings immense comfort to your home. But what happens if your air conditioning unit is continuously malfunctioning? It may just be the perfect time for you to look into getting an AC replacement in Avon, IN. HomePro Heating & Cooling are a Better Business Bureau endorsed contractor. We are telling you this because it is imperative that you know we are certified, qualified, and have the experience to help you bring comfort back into your home. Should You Repair Or Should You Get An AC Replacement In Avon, IN? Most homeowners tend to get an AC replacement in Greenwood, IN far later than they should. The majority of the time, it is because they simply do not know when it’s the best time to repair, or replace their air conditioning units. The unit is continuously breaking down. Your utility bills seem to be getting higher and higher with no apparent cause. Your home is not as comfortable as it used to. There is a lack of air from your air vents throughout your home. You are on a first-name basis with your friendly repairman. Oftentimes, homeowners put off replacing their air conditioning unit – even when it is apparent that their current units are not operating efficiently. We get it, after all, air conditioning units are not exactly the cheapest investments. But when you take into account the cost of continuous repairs, skyrocketing utility bills, and of course, replacing essential parts – is getting a new air conditioning unit really all that expensive? 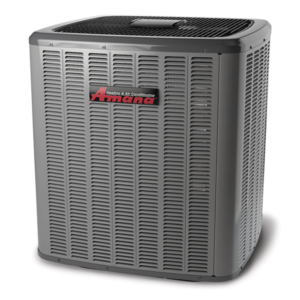 HomePro Heating & Cooling provide top-tier AC replacement services. To improve the quality workmanship that we provide, we have ensured that all of our technicians are N.A.T.E certified. That means we know exactly what needs to be done to bring a new, more efficient unit into your home. HomePro Heating & Cooling are one of the few contractors out there that genuinely care about the comfort of our customers. We enjoy bringing comfort into our customer’s homes and leaving them with a smile on their face. You can reach out to the team by visiting our Contact Us page. Otherwise, if you prefer a more direct approach – feel free to try calling our staff at 317-271-2665.